Full Race Finishers- Congratulations all! This leg of the race started at 12:00 PDT in Victoria, British Columbia on June 7, 2015. Team Kohara 5th 9d 10h 52m WR: Fastest Catarmaran over 25? Team Mau 8th 11d 18h 24m WR: Fastest bot under 20? Team Grin 10th 12d 13h 7m WR: Fastest monohull 20?-30? 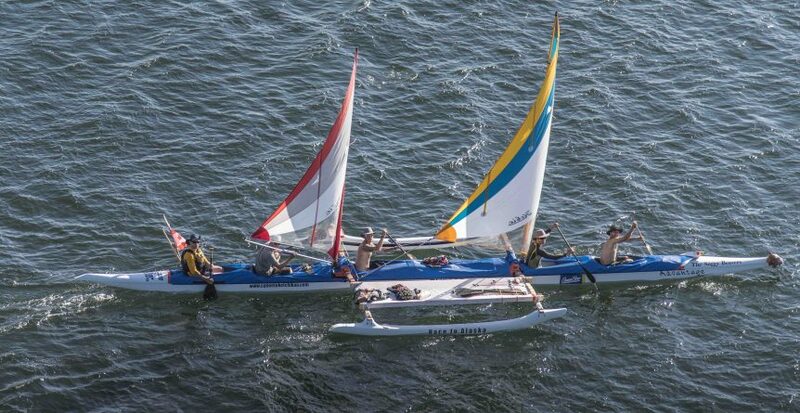 Team Excellent Adventure 12th 18d 22h 52m WR: Fastest monohull under 20?